Tying their own shoes is a BIG DEAL for children and is just one more step on their path to independence. Children with hemiplegia can learn to tie their shoes. 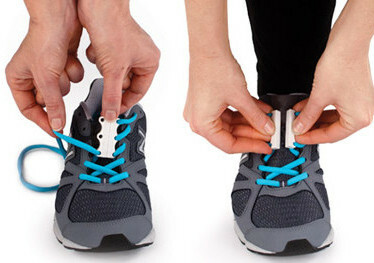 Kids may have problems judging where to put the laces together to make that loop. If the laces are marked with whiteout or black marker, just a small dot or line, the child can match the lines putting both lines/dots together and the correct size loop is instantly formed. Kids with hemiplegia can learn to tie shoes and like many things, mastering the skill may take longer. The goal is INDEPENDENCE. If tying shoes is too frustrating for your child, pick up some of the shoe laces that don’t require tying. See links below. 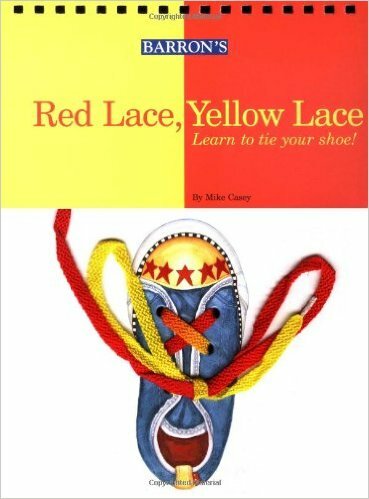 The Red Lace Yellow Lace book offers an ingenious approach to teaching little ones to tie their shoes. Inside, rhyming text guides children through the process step-by-step. The shoe model at the bottom of the book has a red lace and a yellow lace and the different colors makes shoe tying easier for kids who are using one hand to tie shoes.